Mason jars are so cool. They’re good for many things besides food storage — they are awesome to craft with. I thought some of my craft ideas were pretty good and then I found a whole lot of new inspiration. Stuck inside during this cold winter? These 15 Handprint Crafts Boys Will Love will keep kids busy all day long. These 21 Dinosaur Party Craft Ideas for Boys are perfect for parties or just an afternoon craft session. Take a peek at these awesome DIY Teacher Gift Ideas for more inspiration! I think you’ll like these fun crafts that all happen with a Mason jar: Lego Guy, Toy Animal Jar Toppers, Glow in the Dark Glitter Jars, Gooey Slime, Mason Jar Piggy Bank, Party Favors, Mason Jar Photo Display, Moss Terrarium, Mason Jar Monogram Light, Time Capsule, Bird Feeder, Great Gifts in a Mason Jar, Caramel Apple in a Jar, and a Mason Jar Snowman! Whether you are crafting up decorations for a Lego themed party or just want a decked out Mason jar for saving money, this Mason jar Lego guy is one for the books! Gather these materials: a Mason jar, yellow Spray paint, a black Sharpie marker and some black stickers to be used for the eyes and mouth. Attach a cute tag, and you are golden! Add a toy animal to just about anything, and excitement will ensue. These DIY Toy animal jars are awesome and can double as décor and a party favor! You’ll need a Mason jar, glue, various miniature animals and spray paint. Kids will be fascinated by these glow-in-the-dark glitter jars! Moms will love that the supply list is simple: paintbrush, paint tray, clear liquid glue, glow-in-the-dark glitter, and jars. If you want a fun, interactive way to keep your children entertained for hours, make gooey slime in a jar. The recipe is easy, combining glue, food coloring and water! When those few ingredients are mixed, a solution of Borax mixed with water is added to achieve the right consistency. Combine glue, food colouring and water in a bowl, then pour in borax mixed with water. Need to save for your next vacation or a rainy day? This Mason jar piggy bank craft is so easy, you’ll wish you had made one sooner! All you need is a Mason jar, a vinyl phrase such as “cha-ching” and some colored spray paint. You’ll add the vinyl lettering to your jar, followed by a few coats of colored spray paint. Once removed, the remaining lettering on the jars will be clear glass! So fun! Wondering what makes a great party favor for young kids? These Mason jar party favors filled with colored rice are so fun. Children love rice sensory play, and making colorful rice is easy using food coloring and hand sanitizer. Creating a unique Mason jar photo display for a celebration or to give as a gift is an easy 3-step project. The magic supply is surprisingly vegetable oil! Would you believe that it, along with your trimmed photo and a quart sized Mason jar with lid, are the only supplies needed to make this amazing vintage inspired project? How perfect would these be as wedding or anniversary centerpieces? 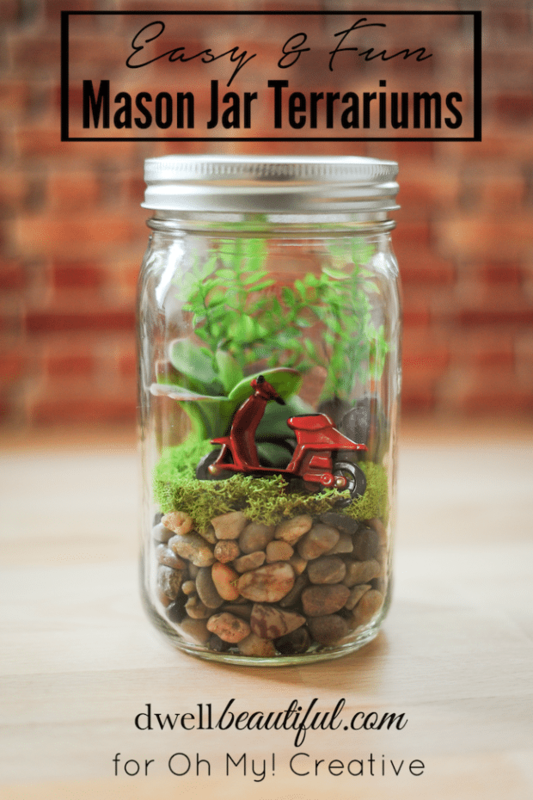 Making a Mason jar moss terrarium is a perfect craft to do with children. While they may need a little help collecting supplies on a nature hike, half the fun is being able to get outdoors and explore. You’ll be adding layers of pebbles, activated charcoal, and potting soil to create a false drainage system. To those layers you’ll add moss and other small plants and any rocks for decoration. Marquee lights are all the rage these days, making this Mason jar monogram light right on trend, but still unique! It features quilted canning jars and rims as the bulb covers. This project does require you to pull out the power tools, but has a great tutorial for creating your very own Mason jar monogram light craft. These Mason jar time capsules may just be the most genius idea for storing and displaying little knick knacks and mementos from your family travels. The idea for this craft is creating a small storage space dedicated to remembering the fun details of a trip. Fill the jars with ticket stubs, maps, sea shells, wrappers, and little memorabilia that will remind you of the experience. Tie up your jar with ribbon and a cardstock tag with a handwritten description of your trip. This Mason jar bird feeder will bring all the birds to your yard. 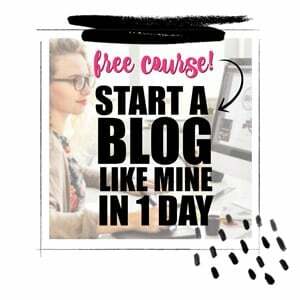 You’ll love the simple and inexpensive supply list and how easy it is to make. You’ll need a regular mouth Mason jar, some twine, a small round chicken feeder and bird seed! The resulting design is so sturdy you will enjoy watching birds feed from your bird feeder for a long time to come. Gift giving is made easy using Mason jar gifts. One idea is to fill jars with items that reflect something the gift recipient loves to do. 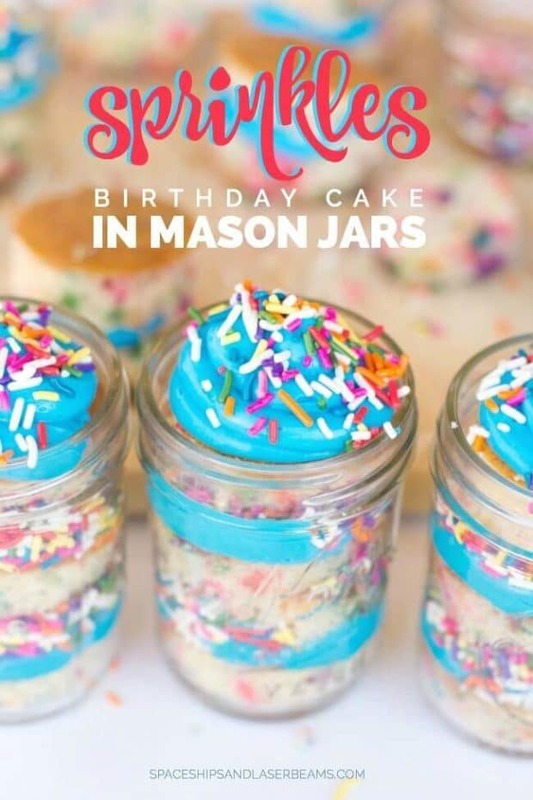 Someone that loves to bake might receive a Mason jar gift filled with measuring spoons, baking cups, cookie cutters, a mini whisk and zester. 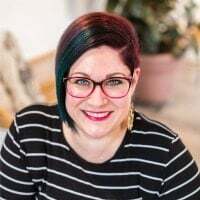 While someone who likes to craft could be given a Mason jar gift filled with glitter tape, clips, letter stamps, an ink pad, mini envelopes and cards, chalkboard gift tags, silver embellishments and a chalk marker. Other jar ideas could include making a manly “cleans up” well jar gift filled with various grooming items: Chap Stick, a razor, moisturizer, cologne, shaving cream, faced scrub and more. If you’re a caramel apple fan, this caramel apple in a jar may just be your favorite Mason jar craft idea ever. Plus it makes a great gift! You’ll want an 8 oz. wide mouth Mason jar, small apples, mini M&Ms, wrapped caramels, a lollipop stick and baker’s twine to make the jar seen here. Recipients will love how easy it is to enjoy a yummy caramel apple. This Mason jar snowman is such a great winter or holiday gift. All you need to replicate this craft is a Mason jar, your favorite white candy (this one features white pretzels), black button embellishments, a piece of fleece for cutting out a simple scarf and the adorable printable tag. In a matter of minutes, you’ll have a gift for friends, neighbors, teachers and family. Get crafty with these great craft supplies gathered by the crew at Spaceships and Laser Beams. Check out these craft ideas your kids will love creating with you.